Lira Clinical is dedicated to providing a comprehensive approach to skin care. This, of course, includes fighting acne and maintaining healthy balanced skin. 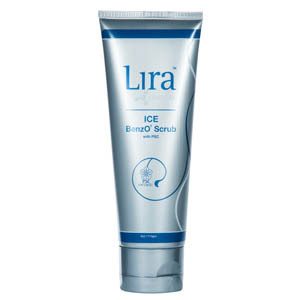 To address the problem of oily skin and acne, Lira Clinical has introduced the ICE Line which provides all of the products you will need to either get your skin back to the glowing health it once was or keep your skin in radiant shape. In order to achieve hydrated, calm skin, apply the Balancing Lotion as a nightly moisturizer. The lotion not only hydrates your skin, but also acts as a wound healer with its active silver and gold ingredients. Apply to problematic areas to rejuvenate your skin and heal any minor lacerations that acne may have caused. The Sal Cleanser is an antibacterial scrub that removes excess oil from your skin and pores and leaves you with a cool, refreshing feeling. Through the use of Lilac and Echinacea stem cell technology, the Sal Cleanser also lightens skins and aides in preventing breakouts. Contain the spread of acne on your skin through the daily use of the Sal Cleanser so you can start and end your day feeling refreshed. Using the Refining Mask multiple times a week will do wonders for the size and health of your pores. This Kaolin-based mask, rich with salicylic and lactic acids, works to tighten, sooth, and enhance your pore size and appearance. It also has active ingredients that lighten your skin and heal any acne-inflicted wounds. This benzoperoxide-based scrub is the perfect remedy for those with grades 1 or 2 acne. When applied, the scrub exfoliates, calms, and lightens skin while giving you a cool, tingling feeling that will leave you rejuvenated. With its plant stem cell infused technology, the scrub not only acts as a wound healer, but also an oxygenator to curb the effect of free radicals. For those with more inflamed acne, the BenzO² TX is a powerful anti-bacterial lotion that will calm and soothe problem areas. It is also uses the ingredient Bearberry to lighten inflamed areas and help skin return to its original health. As well as reducing inflammation, BenzO² TX also has cooling and wound healing properties to reduce discomfort caused by acne. 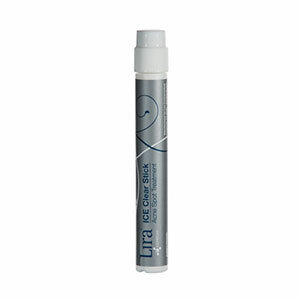 This advanced spot treatment stick works as a quick fix blemish eraser. Through the use of salicylic acid and other powerful ingredients it acts as a barrier for initial acne lesions and dark spots. Use on trouble areas to calm and lighten your skin and remove possible acne spots. Use as needed on target areas up to twice a day. For all of your acne control needs, as well as your other skin care needs, Lira Clinical has all of your bases covered. Through the use of any of Lira’s amazing product lines, let alone a mix of multiple lines, Lira will give you the skin you have always dreamed of. 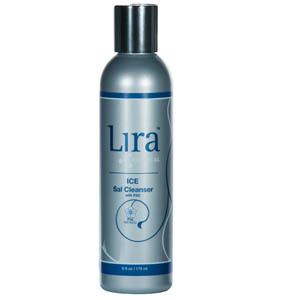 Take a look at Lira Clinical’s ICE Line as well as its other fantastic product lines and take your first step to healthy skin today! How do I order these products? Hi Jeri, You can purchase products by using the Spa Finder to find the retailer closest to you. If there isn’t a location that is convenient than you can purchase items directly through the Corporate Office. Thanks!